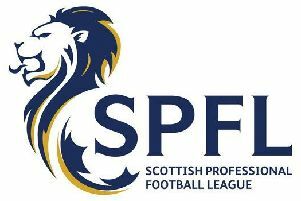 Gala FR would have hoped to secure all three points from this game after a run of tough fixtures, but came unstuck against a so far under-achieving Whitehill Welfare, reports John Clayton. A sound beating was the last thing manager Steven Noble wanted before a two-week break in advance of the home Scottish Cup tie against Highland League side, Keith. Gala started much the brighter and had two good chances cleared off the line from efforts by Stuart Noble and Lewis Swaney. Both players rounded Whitehill keeper Jardine and shot for goal – but Noble’s shot was headed behind and Swaney’s effort was put behind for a corner. From this kick, Swaney rose to head the home side into the lead. Whitehill got back on terms when a long cross into the Gala box eluded Windram and Kidd was on hand to volley home the equaliser. Both sides went close before Whitehill had a golden six minutes just before the interval. A cross was side-footed home by Wright and then, four minutes later, the same player shot speculatively from long range but Muir allowed the ball to squirm through his hands for number three. Just one minute later, Wright completed a five-minute hat-trick with a close-range header. After the interval, Gala went to a back three, with Aitchison playing a central defensive role as the home side tried to force the pace. Noble and Gullan both went close and, on the hour, Gala got a goal back from a corner, with Windram, on the edge of the area, shooting through a crowd of players to beat Jardine. Watson then curled a shot towards the top left corner but the acrobatic Jardine clutched it out of the air to deny the home side a third. Whitehill made a couple of substitutions and one of these, the powerful Nicholson, wrapped things up with 10 minutes remaining. A Whitehill free kick was not properly cleared and Nicholson was able to bulldoze his way through a few half-hearted challenges and blast the ball high into the net from a very narrow angle.